Restaurant, bar/lounge, concierge service, currency exchange, tour assistance, limousine rental service, safe-deposit box, babysitting, medical care on call, ballroom, meeting room, business center. 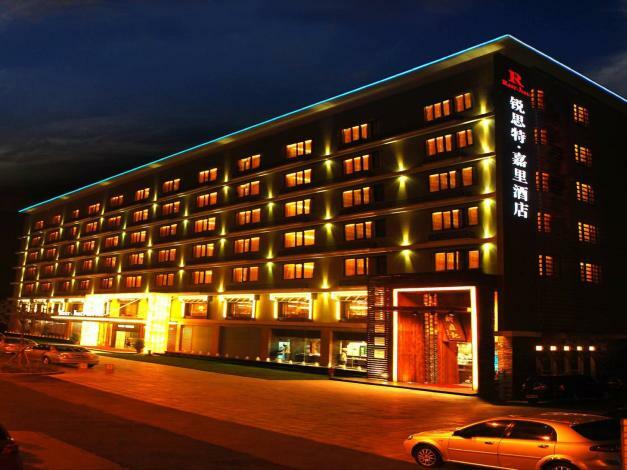 The Ruidu Jiali Hotel (Ruidu Jiali Jiuli) is a superior business hotel in Hangzhou within easy reach of West Lake Cultural Square, the Canal and commercial areas. This Hangzhou hotel has various well-appointed rooms equipped with LCD TVs and desks.